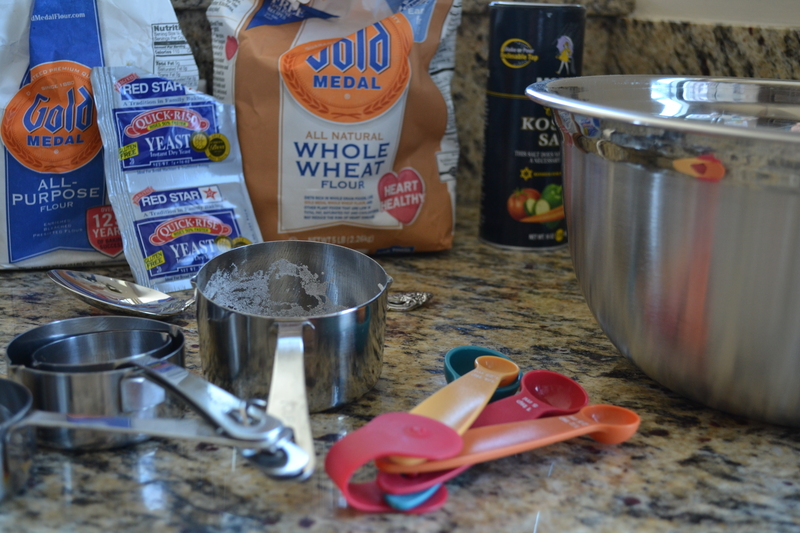 Home Sweet Home (and a bread recipe) | how 'bout some cake? I got back to San Diego around 1:00 this morning and fell blissfully asleep in my own bed. 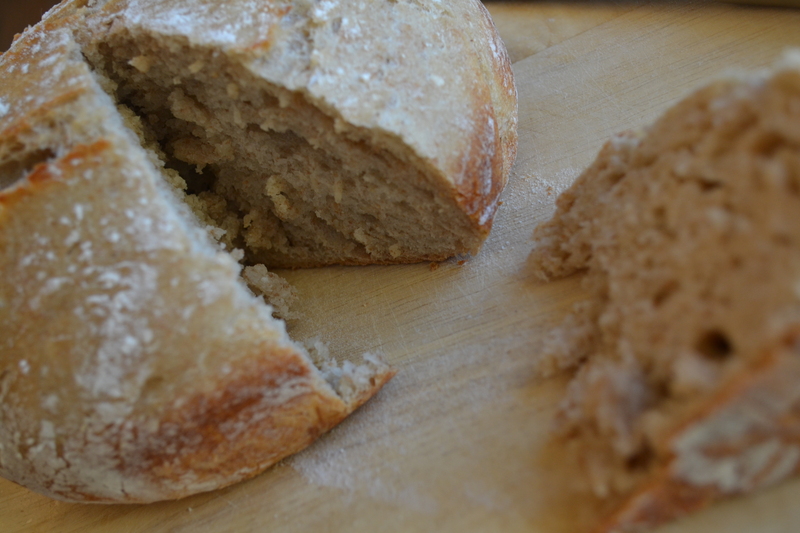 It was so nice to sleep in, walk to the farmers market, get unpacked, and try a new bread recipe today. Our little condo is only about 1100 square feet, but it feels palatial compared to our studio suite in Vegas. And while we’ve only lived here for 6 months, it feels more like home than anywhere else I’ve been lately. The smell of baking bread makes it even homier. 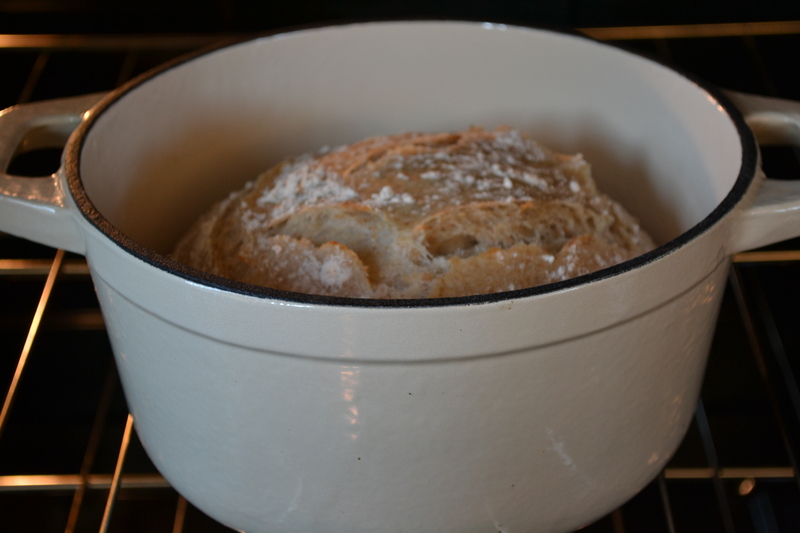 I’ve been wanting to bake bread in my dutch oven for a few months now. Funny side story: last Christmas, my siblings and I chipped in to get my mom a nice big dutch oven. Imagine my surprise when my sister-in-law and I opened up dutch ovens too! Unfortunately, mine spends most of its time buried deep in the back of a cabinet. So I decided today was the day! But I didn’t read the recipe through before making it. I missed the whole “let it sit overnight” thing. So I didn’t, and it came out really, REALLY good. Not bad in the looks department, either. Dissolve the yeast in the water. Then add the flours and salt. The dough will be soggy. Cover the bowl with a dishtowel and let it sit for about 6 hours. 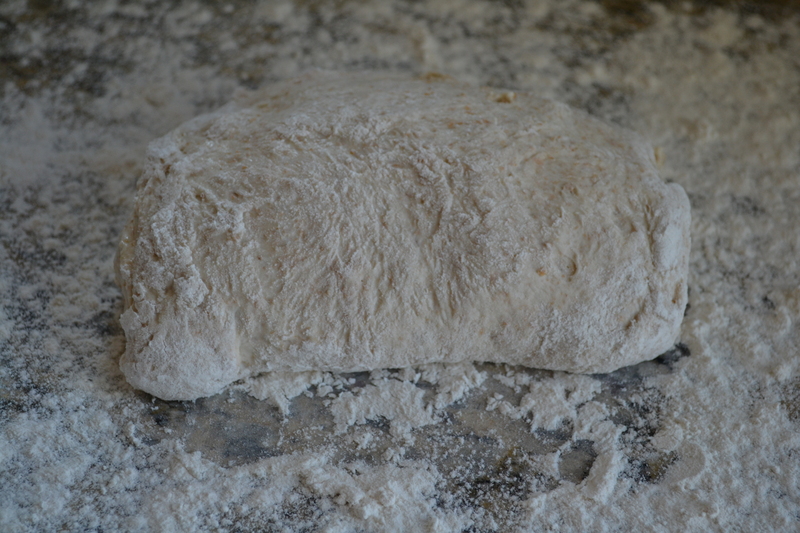 Then, on a well-floured work surface, fold it over once or twice. Heat the oven to 425 degrees F. Warm up your dutch oven as well while your oven preheats. Put the bread dough (covered in flour) in the dutch oven and cook it covered for 30 minutes. Remove the cover, and bake for another 15 minutes or until the top is golden brown. Remove from dutch oven and place on a cooling rack. I suggest enjoying it with honey butter. This entry was posted in Food & Recipes and tagged baking, bread recipe, recipe, whole wheat bread. Bookmark the permalink. This looks amazing! 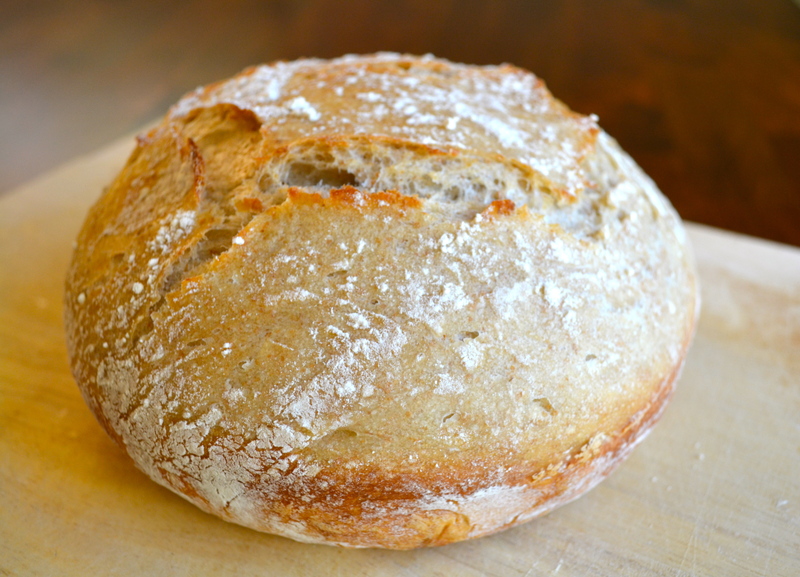 Bread always seems so intimidating to me–I’ve never made it without using a bread maker. You make it look so simple–I never knew you could use a dutch oven! It intimidated me until recently, too! You’d be amazed how easy this is- all you need is some patience!